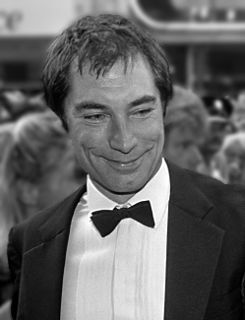 Timothy Dalton is a British actor. 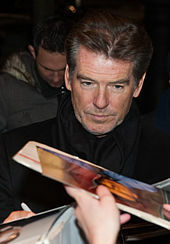 He is best known for portraying James Bond in The Living Daylights (1987) and Licence to Kill (1989), as well as Mr. Rochester in Jane Eyre (1983), Rhett Butler in the television miniseries Scarlett (1994), and Simon Skinner in Hot Fuzz (2007). 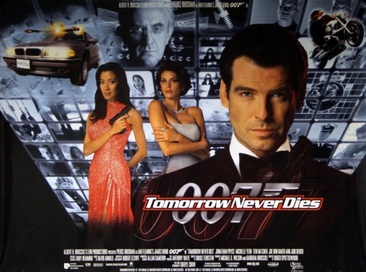 Tomorrow Never Dies is a 1997 spy film, the eighteenth entry in the James Bond series to be produced by Eon Productions, and the second to star Pierce Brosnan as the fictional MI6 agent James Bond. 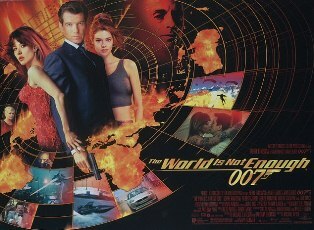 Directed by Roger Spottiswoode, with the screenplay written by Bruce Feirstein, the film follows Bond as he attempts to stop Elliot Carver, a power-mad media mogul, from engineering world events to initiate World War III. The Living Daylights is a 1987 British spy film, the fifteenth entry in the James Bond film series produced by Eon Productions, and the first to star Timothy Dalton as the fictional MI6 agent James Bond. 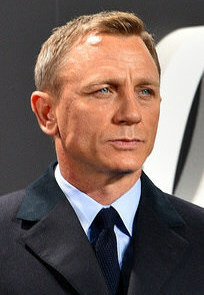 Directed by John Glen, the film's title is taken from Ian Fleming's short story The Living Daylights, the plot of which also forms the basis of the first act of the film. It was the last film to use the title of an Ian Fleming story until the 2006 instalment Casino Royale. Noble House is an American television miniseries that was produced by De Laurentiis Entertainment Group, and broadcast by NBC in 1988. 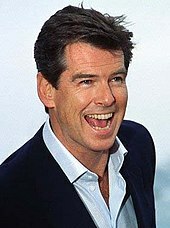 Based on the novel Noble House by James Clavell, it features a large cast headlined by Pierce Brosnan as business tycoon Ian Dunross and was directed by Gary Nelson. However, due to time restrictions, several of the many subplots from the book were removed. 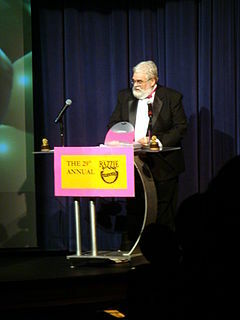 The 29th Golden Raspberry Awards, or Razzies, ceremony was held by the Golden Raspberry Award Foundation to honor the worst films the film industry had to offer in 2008. The ceremony was held at the Barnsdall Gallery Theatre in Hollywood, California on February 21, 2009. Nominations were announced on January 21, 2009. The Love Guru was the most nominated film of 2008, with seven. Award results were based on votes from approximately 650 journalists, cinema fans and film professionals from 20 countries. Awards were presented by John Wilson, the ceremony's founder. The Love Guru received the most awards, winning Worst Picture, Worst Actor, and Worst Screenplay. Paris Hilton received three awards, including Worst Actress for her work in The Hottie & the Nottie and Worst Supporting Actress for Repo! The Genetic Opera. Hilton matched the record number of awards received by an actor in a single year, set by Eddie Murphy the previous year at the 28th Golden Raspberry Awards for his roles in Norbit. I.T. is a 2016 thriller film directed by John Moore and written by Dan Kay and William Wisher. It stars Pierce Brosnan, James Frecheville, Anna Friel, Stefanie Scott, and Michael Nyqvist and was produced by David T. Friendly and Beau St. Clair, who was Brosnan's producing partner at the production company Irish DreamTime before her death. The film was released on September 23, 2016, with a limited release and on video on demand.